Once again, students’ technology usage is prompting panic. This time, the scare involves anonymous messaging apps. Yik Yak is just one of several anonymous messaging apps (available for free on iOS and Android). 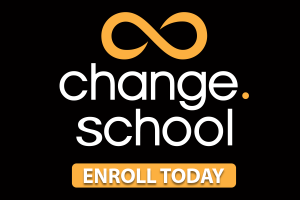 Founded in 2013 by two college students (Tyler Droll and Brooks Buffington. Seriously), Yik Yak is made for and marketed specifically to university students. 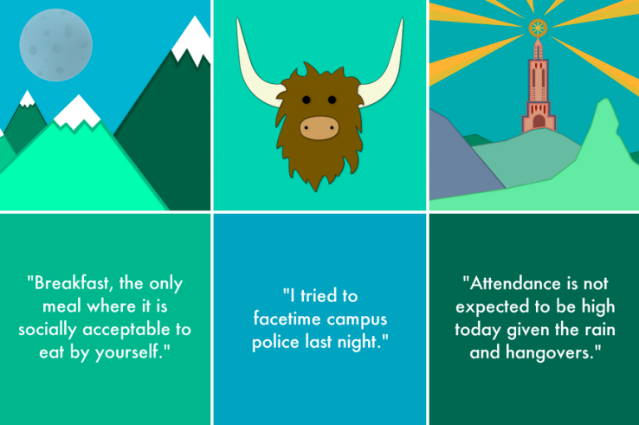 Yik Yak allows users to anonymously read and write “Yaks” within a ten mile radius. Because of that geographical limitation, Yik Yak purports to be a more local and “intimate” messaging board. But as Perez notes, students can still use the app when off campus. And they do. Will Haskell penned a story in The New York Magazine last year highlighting some of the consequences: “A Gossip App Brought My High School to a Halt.” And even if students can’t use Yik Yak, the startup has a number of competitors that do precisely the same thing. One app, After School, was yanked from the Apple App Store a couple of times last year. All these apps do insist that they have anti-bullying procedures in place, but these measures don’t really seem to work. The potential for these apps to be detrimental to a campus community or to an individual student hasn’t stopped Silicon Valley investors and entrepreneurs. Last year Yik Yak raised $73.5 million in venture capital funding. One competitor, Secret, raised $35 million; another competitor, Whisper, raised $60 million. In response to some of the ugliness posted to the app, for example, professors at Colgate University staged an intervention of sorts last year, where they flooded the app with positive messages. And following a recent episode at Eastern Michigan University, where a number of students in a large lecture class posted derogatory remarks about the professor during class, the school’s student council passed a resolution calling for the discontinuation of the app on campus. Let’s say the same group of students met after the class and made the same comments to one another verbally in private. Or that they used SMS to text one another the same messages, but not in a public forum. Or that they wrote them all out on a piece of paper. These are all very hypothetical situations as part of my contention is that they did what they did precisely because of the environment in which they were operating. Compare those examples with them taking that piece of paper with their comments, making a bunch of photo copies and handing them to their classmates as they left the classroom. Or shouting their comments during the class itself. Where does this Yik Yak activity fall among these more familiar, mostly “pre-digital,” forms of communication? We can say that it is wrong to say hurtful, sexist things in private, but saying them in public is a different offense, and directing them toward a specific person who is in the audience is yet another. It is likely that the students failed to imagine that their professor would be in their audience. If they had, we could guess they would have behaved differently, even if they still felt protected by anonymity. Of course that’s only speculation. So should schools monitor what’s posted to apps like Yik Yak? Should teachers and administrators post updates there? Should they let students know that they’re reading? Should they respond to the posts they find? And by focusing on technology and anonymity as the problems here, are we overlooking behaviors and practices that, as Reid highlights, also existed “pre-digital”? How much of what we see on apps like Yik Yak is a reflection of students’ lack of voice, lack of power in traditional school settings?